UN Report – Cut Emissions to Zero! The UN Report – Cut Emissions to Zero was just issued. 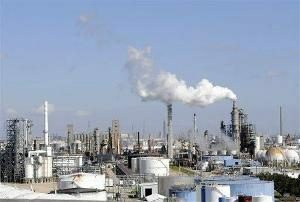 It suggests that we must reduce our emission of pollutants to zero within a few years. If we do not, we will have lost the opportunity to deal with climate change. It will be here to stay. What does this mean for the average person? Right now nothing really since few politicians will change or take on this issue. The average person will probably not even be aware of the impact until it is too late. Companies on the other hand will discourage any immediate action since this will immediately impact the bottom line i.e. profits. Share holders will be impacted. Can we eliminate pollution like the one in this picture quickly? This one and a thousand other locations around the planet must be reduced if we are going to make a difference. We need to reduce our use of vehicles to make these companies change. Well what this writer got out of it was that the average temperature is going to up by two degrees around the earth. This means that some areas will experience much wider swings. Probably this means more violent storms, more desert areas, more flooding and hotter summers. Ice caps will melt and the seas will rise. Tropical diseases will head north and south. Life as we currently know it will be much different, especially for those people living in low lying areas. Flooding from the sea and high tides will do a lot of damage. Can We do Our Part? The answer is yes but it is going to cost you some money. Reducing the energy that is being used by every family is the first step which is really what this web site is all about. Turning down the temperature for heating in the winter, turning up the temperature for air conditioning in the summer, using CFL lights or LED lights and driving more efficient vehicles are among the major things that we as consumers can consider. Can we go further than this, well of course we can, but this is where it really takes some time and some money to reduce your overall energy footprint. Considering solar power for your home, wind power for your home are two options. Better insulation for your home, reducing the packing of products that you purchase, recycle everything, walk to work or use public transit or bike to work would be better. Think about everything you do in your life and consider how you can reduce the energy foot print to make your own contribution. Let’s hope that the politicians get it right and initiate the steps to take us towards zero emissions! For more topics and ideas about energy reduction, click here. The bottom line for most consumers when it comes to saving money on energy and choosing the top green upgrades to save energy is what is the upfront cost of the upgrade. In other words, if you may have a refrigerator which might not be the most energy efficient. Are you going to spend a thousand dollars, plus or minus, to replace it? Just to save a few dollars of electricity a year. The answer is probably not for the majority of people. On the other hand if you have to replace it because it stopped working. Or perhaps the repair costs are too expensive to make it worth while to repair it. In this case you may decide to select the most efficient model when it comes to refrigerators. As long as the price of the fridge is competitive. You might even have to comparison shop to make sure you get the best deal. But at least you save money on the purchase as well as on the operating costs. Insulation – adding insulation to your attic will increase your energy savings dramatically. Especially if there is old or no insulation at all in the attic. High efficiency furnace – will decrease the amount of fuel you use as well as the electricity you use to run the fan. Most high efficient furnaces use DC motors which are much more efficient. Use energy Star appliances – always purchase energy star appliances when you buy replacements. examine the details and assumptions behind the numbers that they advertise. Replace incandescent light bulbs with CFL’s or LEDs – This can be another large savings especially if you leave lights on all of the time such as a hall light at night or outside lights. This post is discussing the alternative energy businesses and follows our previous post about the renewable energy business evolution. You might want to read that post first before reading this one since it is the 2nd post in a series we are doing about alternative energy businesses. As we write this post, the big electrical companies are wondering if they are going to meet their targets of 30% power generation from renewable sources by 2020. The price of solar panels is coming down which makes home solar solutions more economical. Many government grants are either ending and not being renewed or they are being reduced which also impacts the solar panel demand. Finally the environmentalists are getting into the act and delaying or in some cases stopping the construction of solar farms and even wind farms. Our last post discussed how the industry was in it’s infancy and had many more evolutionary steps to take before it became mature. But what is the average homeowner supposed to do? should they invest in a small solar panel farm on the roof of their house? Should the investor invest in one of these solar companies and hope to reap millions as the business and the industry matures? These are just some of the very difficult questions. One company we talked to indicated that in California, with the weather they get, they can pretty much guarantee a 4 year payback. In addition they establish a reserve fund that pays for any maintenance that is needed on the units installed on your roof. There are also thousands of small businesses that have invested in training and materials in order to get into the business of installing and maintaining solar systems for consumers and also for small business people who want to generate their own power. This is a tough business which is impacted by some of the issues we have just mentioned, but also the ongoing competitive oil industry. Generally speaking the higher the price of oil goes, the better it is for the solar and wind farm industry. If oil peaks and then falls again, this will take much of the steam out of the push to become independent of the Mideast oil as a country. Having worked in an unrelated business start-up, the advice that can be provided is that you need to watch every dollar and only spend it when you are sure that there is going to be decent ROI associated with the investment. This statement applies to everything including manpower, training, tools, vehicles and office space. With the industry in such turmoil, you need to make sure you have the cash flow to withstand any upticks and downturns in the business cycle and the mood of the consumer to get involved in the solar power generation opportunity. With unemployment so high, this is not the time to pay high salaries, however you do want to have great staff. A combination of salary and bonus based on how well the company does is one way of tying the business results to keeping good people. Just the fact that this business is in its infancy should tell you that there will be lots of change over the next 10 years let alone 20 years. 20 years is the contract term of some agreements. The technology will change and improve immensely. the price of equipment will certainly fall as the technology is mass produced and the government subsidies will die out to be replaced with other potential market supporting systems. The only way to protect yourself whether you are a consumer or a small business is to invest very carefully, look for solid ROI’s and short-term payback on your investment of 5 years or even less. Some people would suggest that even 5 years is too long in this volatile market. We will be writing more on this subject, so please stay tuned for more posts on this subject and others. Comments are appreciated and your thoughts on this business as well. For more thoughts about conserving energy and reducing your energy foot print, click here. We have been doing some research on renewable energy business evolution, which is another term for where is the solar business headed and where are wind farm businesses headed. 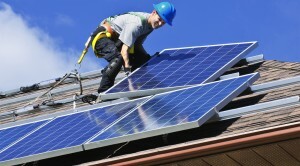 Should you as a consumer invest in a solar generation system on your roof? What about businesses that are in the solar business or the wind farm business? Would you buy shares in a company that is based on the fledgling solar business? As an investor who is looking at his retirement income, any investments in renewable energy businesses is probably high risk at this stage since the industry is still trying to figure out how to make money and be profitable without government subsidies. But let’s make no mistake the alternative energy or the renewable energy business is here to stay. It is only an infant in terms of evolution and must go thorough many trials and difficulties before it matures. Solar energy is really young, wind power is not far behind it compared to the grand old businesses of generating power through oil or coal fired generation plants. Hydro electric plants are even older and then there is the nuclear field which is still growing up and we are not sure that we really want to have it around us. This is the best analogy that we can come up with in terms of the electrical generation business today. The solar companies are like a bunch of infants in a day care running around trying to figure out what they should do just to stay alive. Which one will grow up and become mature and successful. Which ones will fall by the wayside and never develop into a successful business. The message here is that if someone tells you they have this sure thing related to solar power, only put into the investment what you can afford to lose. The risks are very high. The renewable energy business evolution is going to take a few years to develop and become stable. This could be as long as 20 years, but it will reach a level of maturity that will make us all wonder why we did not invest in the business at the outset. Electrical power companies in California must be generating 30% of their power by the year 2020 and although they have made great strides with some already in the 10% zone, they still have a long way to go. Power consumption is growing and 30% of today’s power demand is achievable, however 30% of the demand in 2020 is much more challenging. These objectives have been set by government to meet several of their own objectives. They want to reduce the demand on coal and oil and they also want to reduce the pollution impact that these oil driven electrical plants have on the environment. While the air pollution should not get worse, there is still pollution when you install solar panels. The manufacture of solar panels is one thing and does cause pollution, however the preparation of the ground and the disruption of habitat for animals that live in these areas is another. Animal rights groups are always getting in the way and fighting the construction of solar power plants. This alone could delay the power companies from meeting their objectives in 2020 which is already really aggressive without any delays. One area that seems to be helping is that consumers are converting on mass from incandescent lights to fluorescent and LED lights, This has been reducing the demand for electricity in various states and provinces. The consumer is getting on the band wagon and reducing their electrical use by turning off lights, using power in non peak demand times etc. This is going to make it easier to meet some of the targets we mentioned above. We are going to write more on this subject in the next few posts. leave us your comments and thoughts. They will help to influence our ideas and thoughts and contribute to the input of the next posts. Our readers will appreciate the thoughts and comments as well. 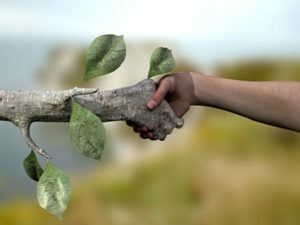 We like to include humorous posts that are related to the initiatives of going green, alternative energy and reducing your energy foot print every once and awhile . It points out that our green trend that everyone talks about is something that is dealing with a recent trend that only started in the last 30 years were we tend to throw everything out and not reuse stuff. Read on, you will enjoy it. The clerk responded, “That’s our problem today……. He was right — our generation didn’t have the green thing. We walked up stairs, because we didn’t have an escalator in every store and office building. But he was right. We didn’t have the green thing in our day. Back then, we washed the baby’s diapers because we didn’t have the throw-away kind. We dried clothes on a line, not in an energy gobbling machine burning up 220 volts — wind and solar power really did dry the clothes. Kids got hand-me-down clothes from their brothers or sisters, not always brand-new clothing. But that clerk is right; we didn’t have the green thing back in our day. Back then, we had one TV, or radio, in the house — not a TV in every room. And the TV had a small screen the size of a handkerchief (remember them? ), not a screen the size of the state of Montana . But he’s right; we didn’t have the green thing back then. I grew up with patches on my knees and elbows so that we could continue wearing clothes instead of throwing them out. Now people tear the knees so that they can look cool. If there is a rip somewhere else, they throw them out. We have too much money and do not embrace the reuse approach to save our environment. 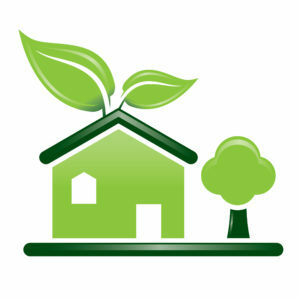 For more serious thoughts about conserving energy and reducing your energy foot print, click here. We are starting a new blog specifically focused on alternative energy for consumers. Some people refer to this as renewable energy. Which ever term is used it really does not matter. Since what we are focused on is real ways that the consumer can embrace renewable or alternative energy. They may be able to reduce their overall cost of using energy around their homes and in their everyday life. We also will be discussing solutions for consumers that will help them save energy as well. This is commonly known as reducing your energy foot print. It helps them spend a lot less money paying for energy for heating, cooling, their car etc. One of the reasons that I am writing this blog is that the cost of energy is going up significantly. Anything I can do to reduce my energy foot print means I can save money and keep it in my pocket vs. placing my hard earned money in some corporation. Some may view this is a particularly selfish view, however that is what drives the average consumer. They sympathize with save the planet kinds of issues. But what really gets their attention is money in their pockets. Note, that by saving or reducing my energy foot print not only reduces my cost , but it also helps reduce the impact on the environment. There is a lot of information out there about commercial systems. But not so much that is specifically directed at consumers so we thought we would do some research and see what we could come up with. The commercial systems such as wind farms, solar farms, wave action and even hydro electric plants are fantastic. We encourage these new developments to lessen our impact on the environment long term ( coal, oil and nuclear generating plants ) and generate electricity from these alternate energy sources. For those readers who may not be aware, hydro electric plants are plants that generate electricity using water that drives turbines that in turn produce electricity. The Hoover Dam is a well known hydro electric generation facility. Our focus is going to be on things that the consumer can do that are real as well as economical. They will include some of the same things such as solar, wind and anything else that we come across. We invite anyone reading this blog to leave us a comment on the blog to point us to other energy sources or ideas that we should take a look at. Personally, I have been frustrated by the lack of focus from a consumer perspective. There has been lots of information about conserving energy, but not nearly as much about renewable energy sources. Conserving energy is sometimes more expensive than it needs to be. Just look a the fluorescent lights that are replacing incandescent light bulbs as an example. There is no need to price them as high as they are. If these new bulbs were priced lower and more people would turn to use them and reduce the energy used as well. In our opinion pricing needs to be adjusted to encourage consumers more to reduce their energy use. Please don’t misinterpret this comment, it is an excellent idea to conserve energy and reduce your energy footprint, we just think that we should also be focusing on generating electricity as well! This is our first post about renewable energy and we are probably rambling a bit. Future posts will begin to discuss alternative energy sources for consumers, energy saving ideas, and we will try to come up with one post every second week. It is important to us that our readers provide comments, especially about products that may be available on the market. We are going to be doing lots of research, however you can help with the job by pointing us to various products that may be available on the market. Many stores are beginning to sell solar panels for use in RV’s and even in homes, however we think that there is much more that can be considered. Send us your suggestions about alternate energy sources for consumers via the comment field at the end of the post. We read them all and will use the constructive comments. Spam comments are auto deleted. Thanks and here’s to fun blogging! For more alternative energy posts, click here.